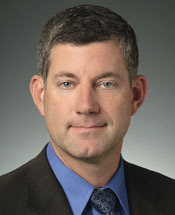 Chris Chandler is general manager, Corporate Strategy, for Phillips 66. He previously held the role of general manager, Midstream Commercial and Business Development. Chandler became general manager, Natural Gas Liquids, in 2014. Beginning in 2010, he served as manager, Los Angeles Refinery, for ConocoPhillips. In 2007, he was named manager of the Alliance Refinery near New Orleans, Louisiana. In 2004, Chandler held the position of operations manager at the Los Angeles Refinery, Wilmington Plant. Chandler began his career with the company at the Los Angeles Refinery in California. He has held roles of increasing responsibility at the company’s Los Angeles and Wood River refineries and also worked at the company’s headquarters in Houston as manager, competitive analysis. Chandler previously served on the boards of the GPA Midstream Association and the Western States Petroleum Association. He was born in Woodbury, New Jersey, and earned a Bachelor of Science degree in mechanical engineering from the University of California, Los Angeles.